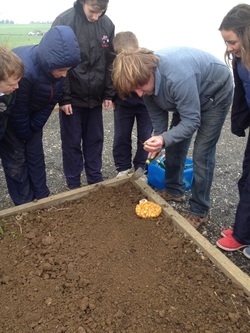 The School Garden - Seir Kieran's N.S. 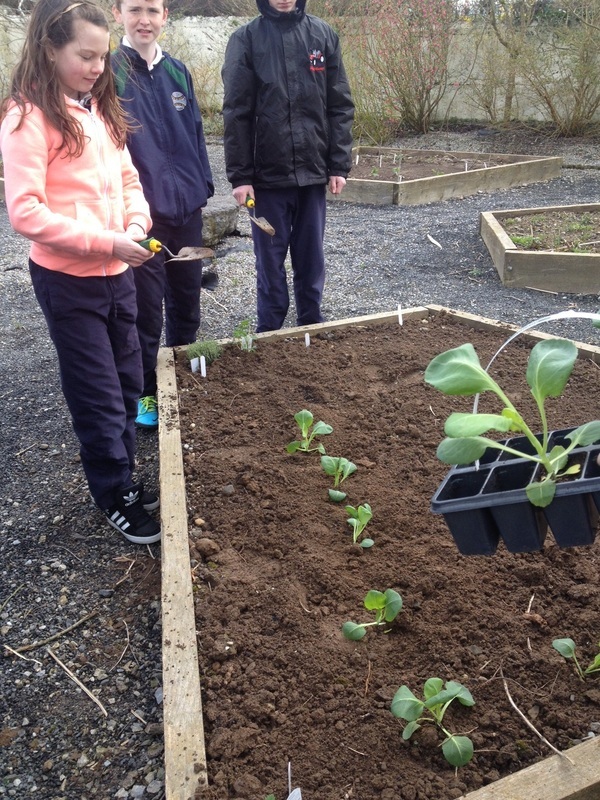 The students from 3rd class are working very hard in our school garden, planting and growing a lot of flowers and herbs. They are working very hard weeding, watering, and planting and are doing a great job! We were delighted with the help that Mr.Middleton kindly gave us in the garden this Spring. 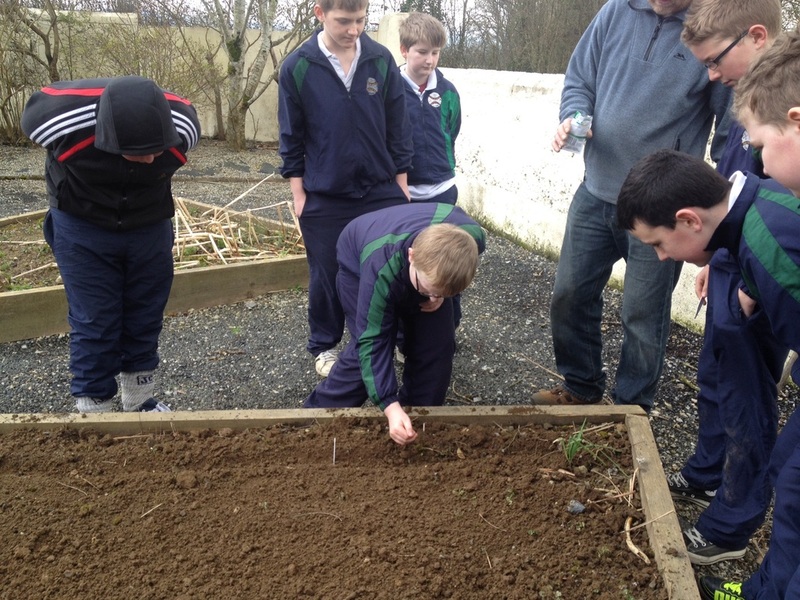 The whole school got involved in weeding the garden and planting various vegetables and herbs. 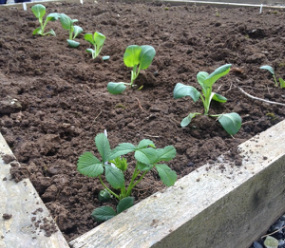 We look forward to seeing our garden flourish in the coming weeks and months. Mr. Middleton shows the senior room the seeds that they are about to plant. Sally plants some cabbage !